I am a day late posting this update. Just too tired last night, and today I had to do my Italian grammar homework or suffer the consequences when my tutor shows up tomorrow. Every day here is a test, but I am bound-and-determined that I will speak more-or-less grammatically correct one day. Classic Italian piazza: City Hall, a fountain, people enjoying a stroll. After an exhausting but interesting tour by car on Saturday, on Sunday we took a train north along the coast to Tarquinia, another ancient Etruscan city. The Etruscans are very mysterious as there is no literature, no historical record nor religious texts. We have only the knowledge derived from their tombs, which contained “grave goods” and art. 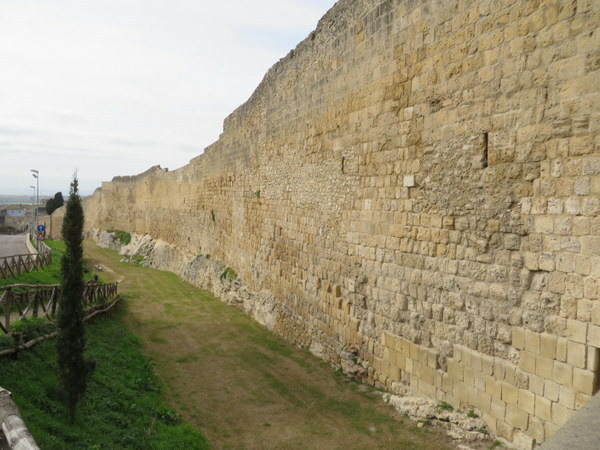 The old wall surrounding Tarquinia. 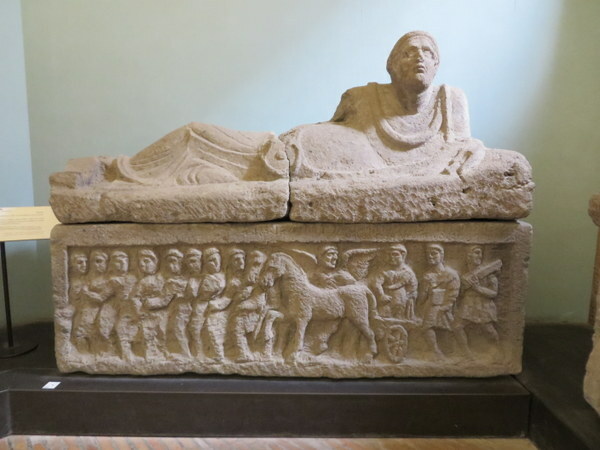 Etruscan sarcophagus. Note the detail in the carving. About 2500 years old. 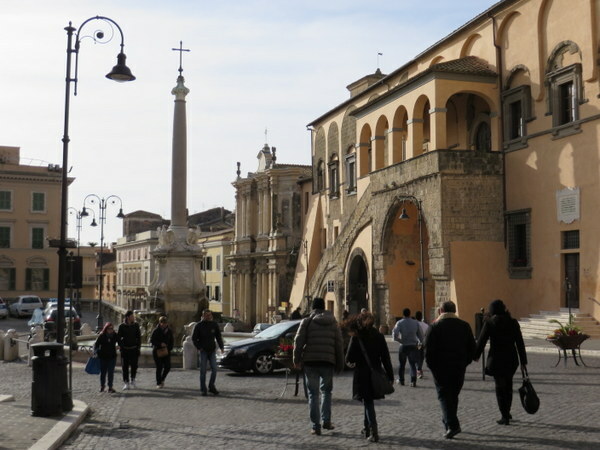 With its remoteness from Rome, few tourists venture to Tarquinia, especially in February. It was serene and uncrowded this sunny Sunday. We enjoyed the National Museum and its treasures without interference, then meandered up the street, through a classic piazza in search of Sunday lunch. We stumbled – luckily – into Ristorante Ambaradam and were soon followed by group after group seeking lunch. What a find! We feasted on insalata di polpo & cicoria ripassata (salad of warm octopus and greens) served on a bed of creamed chickpeas, followed by cacio e pepe (think Italian mac & cheese, but classy and “zippy”) for me, and pasta with a ragu of octopus, tomato, and guanciale with flakes of pecorino for Ric. Alongside was THE BEST puntarelle ever. Puntarelle is a seasonal favorite, and while I like it the “normal” way (see link), the one at Ambaradam was extra nice featuring olives and little bits of sweet orange, with the anchovy taste played down. Yum! Washed down with a Chardonnay from Lazio, this lunch demanded exercise. As the walk to visit the necropolis was ahead, we were able to shake off the postprandial doziness in the cool fresh air. Another beautiful fresco from 2500 years ago. steep stairs to view the chambers, decorated with sometimes lively frescoes. The dioramas and renderings reminded me of the Indian burial mounds found in Minnesota. Although I am unaware of any place you can actually enter one in America, the concept seems similar: bury the person with “grave goods” to take them into the next life. We almost missed the entrance to the park (signage is not terrific), but a tour group of French students attracted our attention and we made for the gate ahead of them. 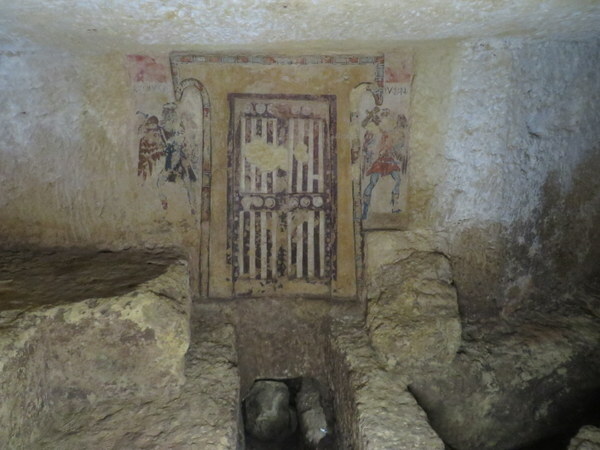 This Etruscan fresco depicts a false door designed to keep the Devil away from the tomb of the departed. The treasures found in the National Museum came from these tombs: elaborate tombstones and sarcophagi, as well as jewelry, weapons, urns, and other household goods one might need in the afterlife. The museum and necropolis are closed on Monday (very common in Italy) and open Tuesday-Sunday. The two sites are 1.5 km apart. Fabulous detail of a tombstone. Why does the shuttle bus run on Monday when the tombs are closed? Why is the TI closed on Sunday when the museum and tombs are open, but open Monday when the necropolis and museum are closed? Like so many things here, it makes no sense from a service and commerce point-of-view. 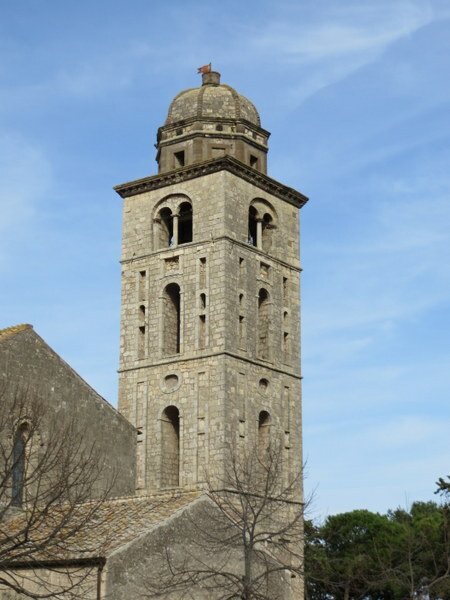 Chiesa di San Francesco Bell Tower, Tarquinia. If you go to Tarquinia on Sunday, be prepared to walk…or take a car. But if you eat cacio e pepe or other Italian specialties, you may want to walk anyway. The train back to Rome offered a chance to nap a bit, far better than driving in my book. ← Day 3: Road Trip! I know octopus can be amazing but I just don’t know! Washing it down with wine, well…now that’s the ticket. Italians really know how to prepare it! I’ve eaten everything form baby octopi (so cute and tender!) to large grilled tentacles. Freshness is the key. Such a wonderful series of posts in what is already a fabulous blog!! 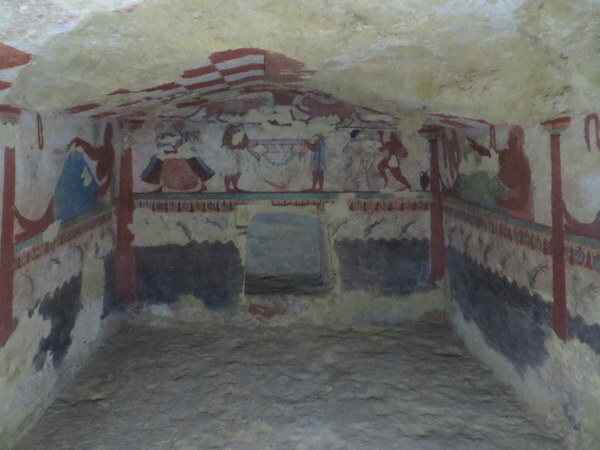 I have never had much need to visit the Etruscans but I love your word pictures of daily life. I was so glad to read the typical This is Italy bureaucracy of having to give up our good vaporetto seats and get all in a queue to see if they were still there. (Same thing happened to us a few years ago). They were!! – well on the other side, but that suited us fine…. Grazie Nigel! I appreciate your kind words. It’s nice to know I can still interest accomplished Italophiles such as yourself! I learned also of another city close to Tarquinia worth visiting, called Cerveteri. So many places in this little country! Another great post … thanks. We will be on our way back to the US from Venice this Fall and the ship stops for a day in Civitavecchia (7-7 on a Wednesday). I’ve already planned to visit Tarquinia that day so your post is very valuable. I’m sure I’ll be back to you (my expert on all things Italian) with questions and for ideas. Wow Will! What a coincidence! Do let me know if you have questions. It was a very quick trip from Civitavecchia by train. 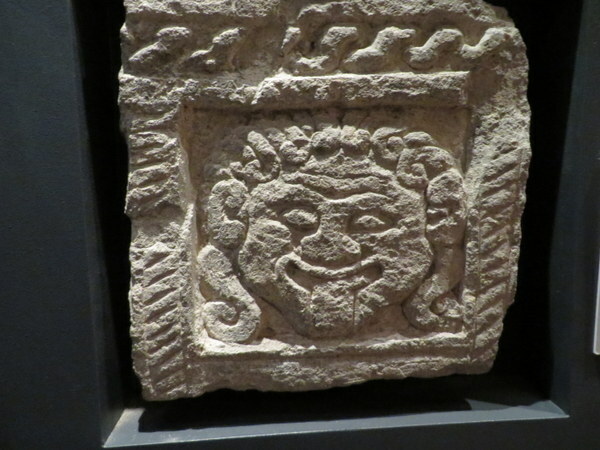 I have not had much of a chance to explore the Etruscan artifacts, and so I thanks for sending these photos. They are an interesting people, and one wonders if they were subsumed by the Roman culture, or if the early Romans conquered them. The food sounds delicious, of course, and the strange miss-match of the schedules sounds so very Italian, it alone makes me miss it. It is kind of charming the way they adhere to their rules, even when they make no sense at all. We had to get off the Vaporetto in Venice and then get right back on. Because it was the beginning of a new run. Same boat, same crew, same place: we just had to get off, and then get back on. SO Italian! Quite amusing, although I don’t think they think so.